Our precious Granddaughter C-Bear recently celebrated her second birthday. 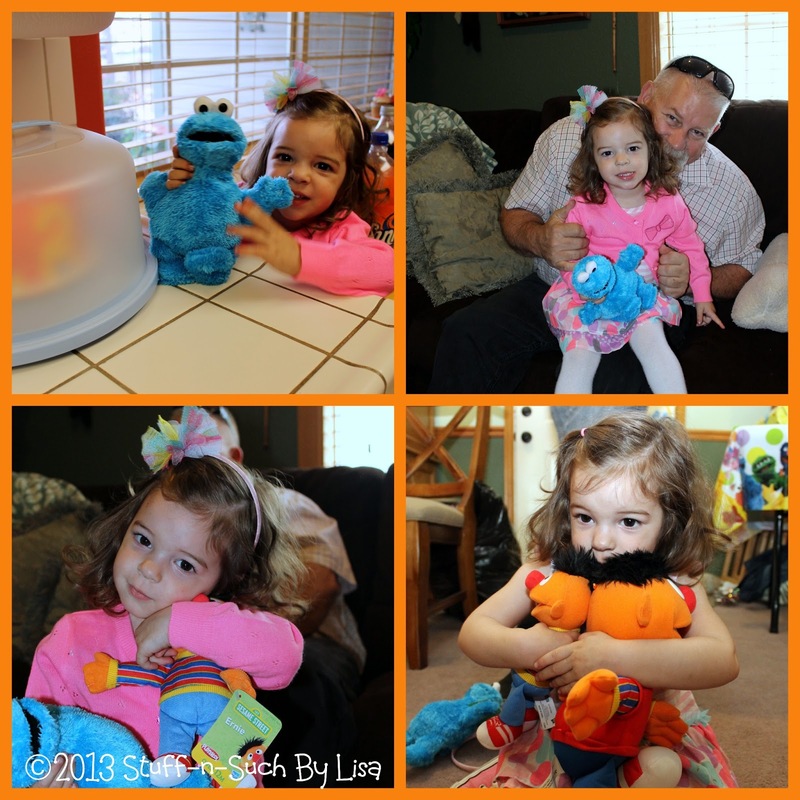 I wanted to make something special for her big day and since she has recently become obsessed with sesame street...I figured anything to do with that would be a big hit! Her favorite Sesame Street characters are Elmo, Ernie, Cookie Monster and Abby Cadabby. I decided to make a Sesame Street cake! To be honest, I've never really considered making a Fondant cake before, because I was just sure it was way too hard and involved for me to even try. 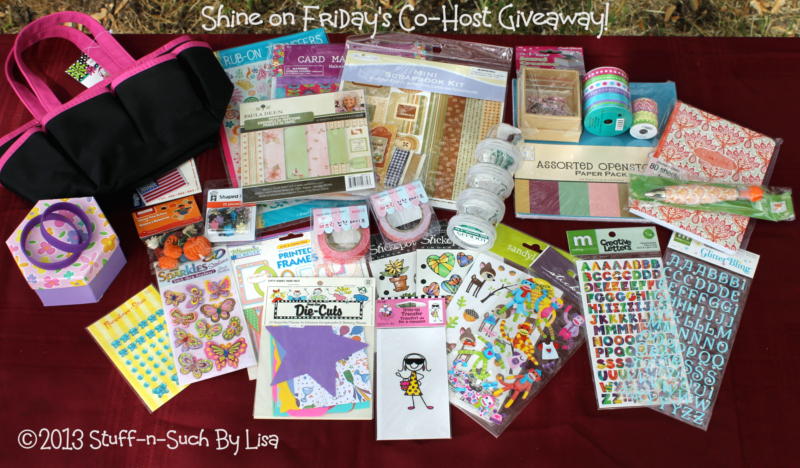 Shine On Friday Party #74 & Craft Grab Bag Giveaway! 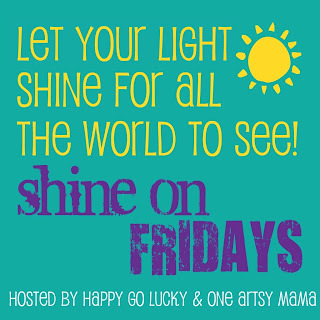 I'm excited to be co-hosting the "Shine On Friday" Link Party today with Kara at Happy Go Lucky and Amy at One Artsy Mama! Come along and meet new friends and link-up...we'd love to see what crafty adventure's you've been up to! As the co-host I am sponsoring this cool crafty giveaway! 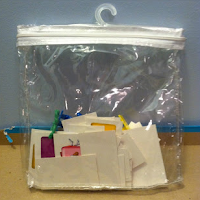 A big Crafty "Grab Bag" that One lucky person will win! To enter, just use the Rafflecopter widget below...Have fun at the party! Now it's your time to SHINE! 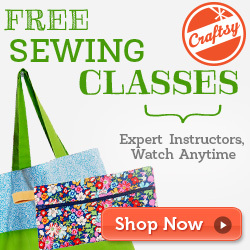 Show off your fabulous creations with us and be inspired by what others have created! 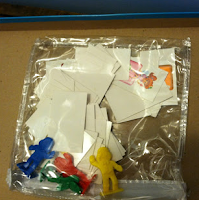 Please link up crafts, recipes, home decor, etc. 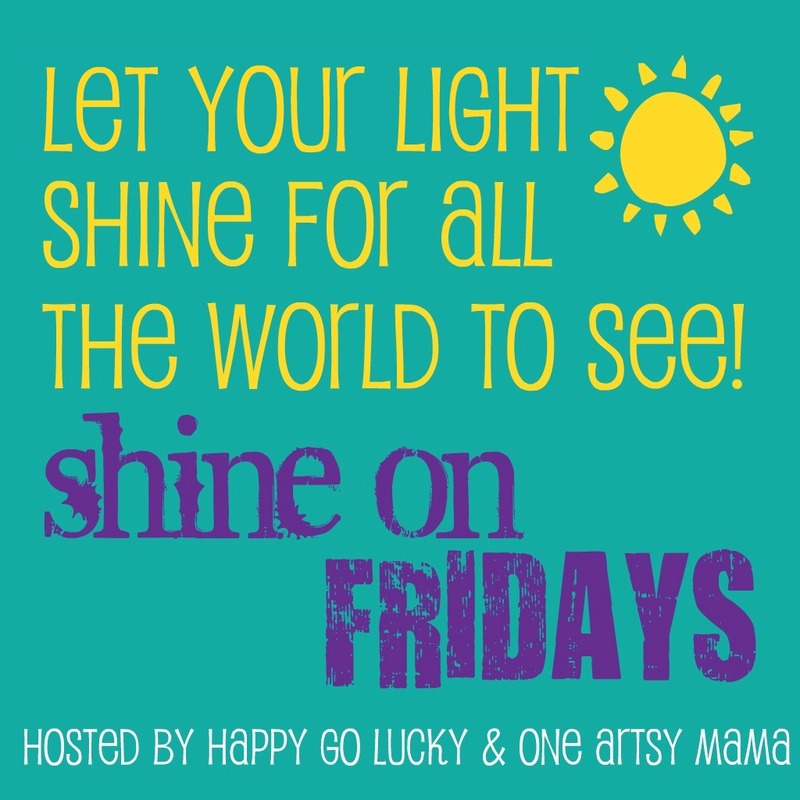 Be sure to follow your awesome host, Kara at Happy-Go-Lucky, co-host, Amy at One Artsy Mama and me, Stuff-n-Such By Lisa...your guest co-host! Linking up your photos gives us permission to use them in features on our blogs and Facebook pages. I love to craft, spend time with my family (especially the Grandbabies!) and blog about it...but one thing that I DON'T like to do, but it is necessary, is keep track of business and personal finances. Whether it's paying a bill, filing a invoice or doing my taxes...if it has to do with money or filing...I'm not a fan! Fortunately, I've discovered a great way to cut down on the amount of time I spend doing those things and it is a great site called www.Shoeboxed.com ! 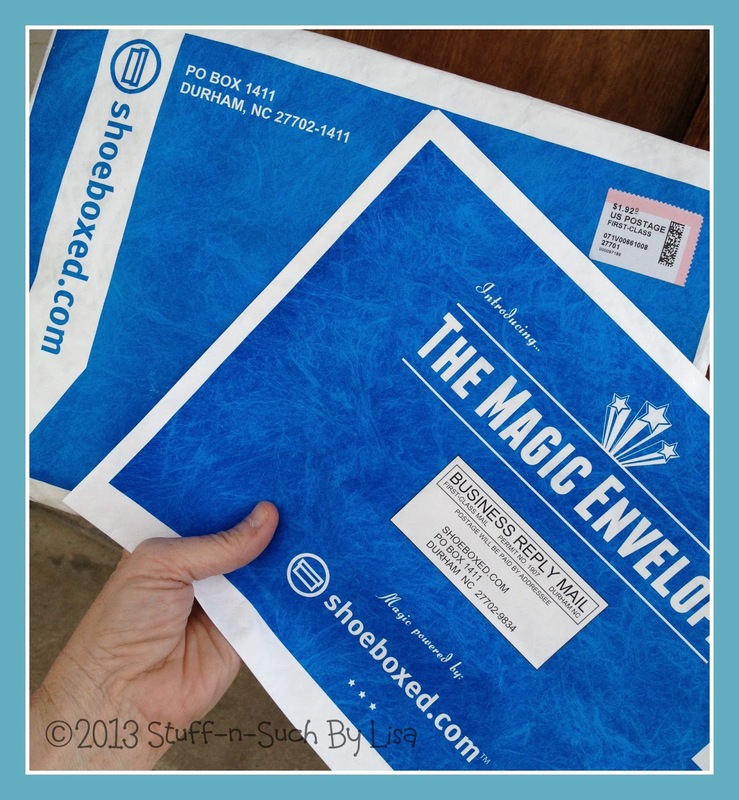 I simply gather my receipts and mail them in a prepaid envelope to Shoeboxed and they scan and store them securely online for easy access anytime! If you have the Classic Plan or higher, they will return your paper receipts to you if you'd like, but if you are into a "greener" solution they will shred and recycle them within 30 days of scanning them.